For North American clocks and other devices, select Chronos (Model 1930-115V). For European devices, select Chronos 230 (provides 230V AC). Frequency can be selected as needed, either 50Hz or 60Hz. Everything you need to power your device is included; eg, certified wall adapter and plug style conversion. Learn about Powering Flip Clocks and other plug-in electric clocks with Chronos. Chronos will power 115V AC clocks (e.g., any electric clock of USA origin; perfect for clock radios) up to 12 watts. Chronos 230 can power 230V AC European clocks. Frequency can be selected as needed, either 50Hz or 60Hz. Can be powered from anywhere in the world. 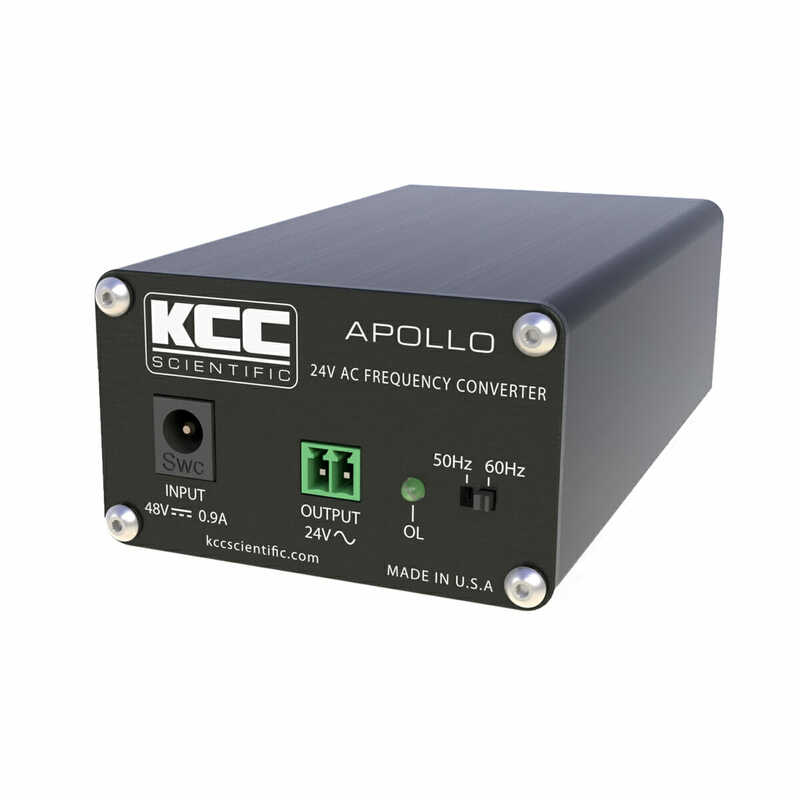 This unit will do all voltage, frequency, and plug conversion. Also cures issues if you are observing mains frequency drift due to variations from time error correction. 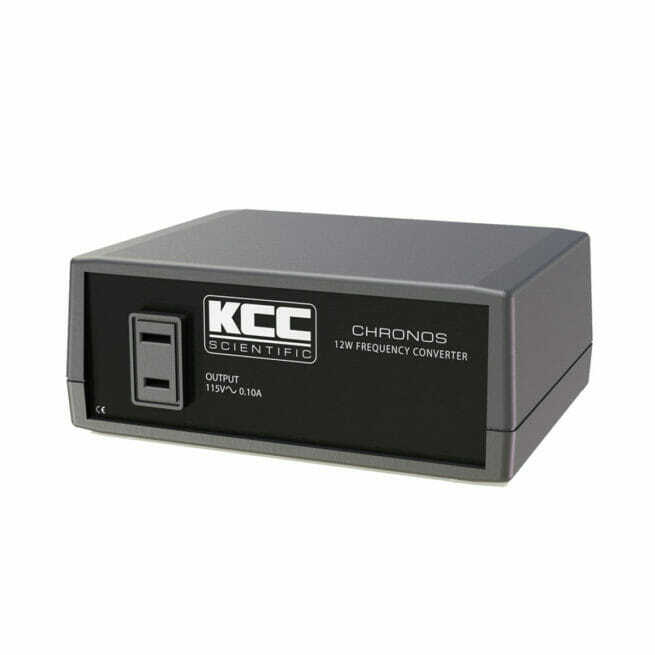 Why do you need a Chronos frequency converter? Devices with motors that turn or vibrate are dependent on power line (mains) frequency to do their job at the right speed. This is the difference between a clock that keeps proper time or is off by up to 10 minutes per hour, or a turntable that runs at the wrong pitch. Chronos cures those problems! Do you need more power? Does your device require a grounding terminal (three terminal plug)? 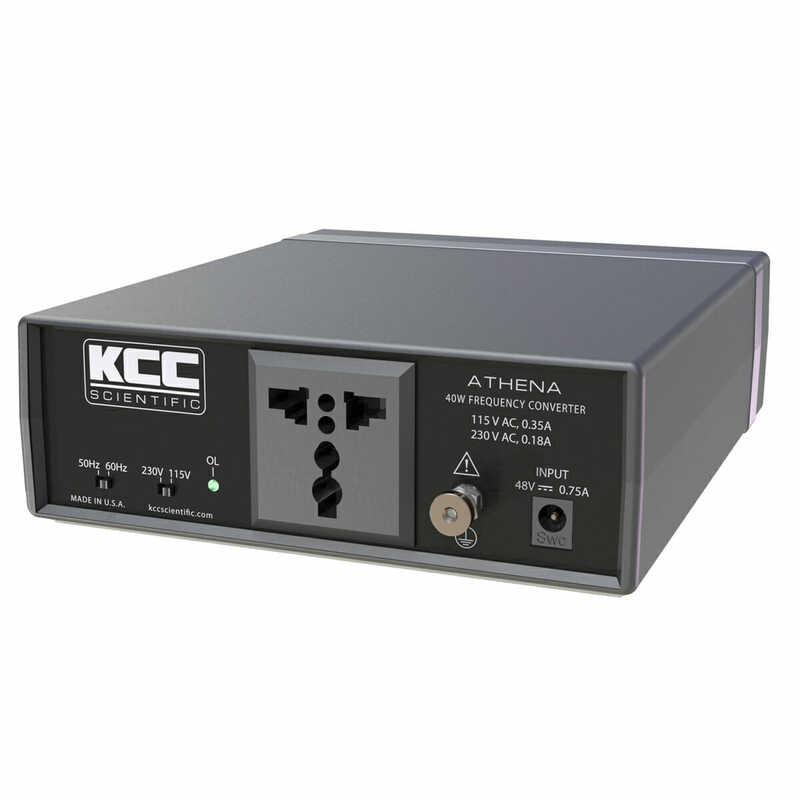 Consider our economical new 40 Watt Athena, or our new 100 watt Thor. 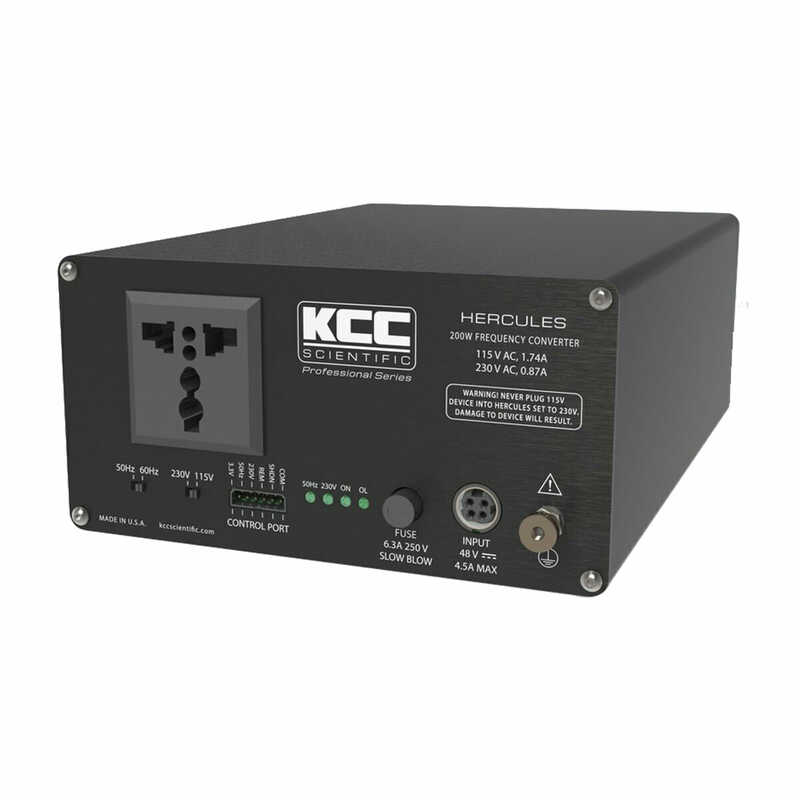 If you need even more power, consider Hercules, at 200 watt output! We make every attempt to provide information needed to choose the right product. We encourage you to contact us if in doubt. Restocking charge is 10% of product purchase price on most models. We do not pay return postage if you choose the wrong product. Our 2-year warranty covers any defect which interferes with the product performing its function. This includes the wall adapter provided with the unit. We have warranty terms on our generous warranty to avoid our generosity being exploited. We do NOT warranty product that has been disassembled, tampered with, modified, dropped or abused. Our products are not experiment platforms and are not meant to be used for this purpose. You will pay replacement price if you modify or disassemble the product, damage it, then attempt to return it for warranty repair. If an improper wall adapter is used with the product, the resulting damage is not covered. Minimum state sales tax of 2.9% plus municipality tax will be applied to residents of Colorado.